Last year, the number of bikes stolen in Manchester reached almost 3,400, beating parts of London for the first time. Shocking crime statistics revealed that the number of bike thefts in Manchester is double the national average. Mountain bikes make up 48% of bike thefts, while road bikes come a close second at 18%. 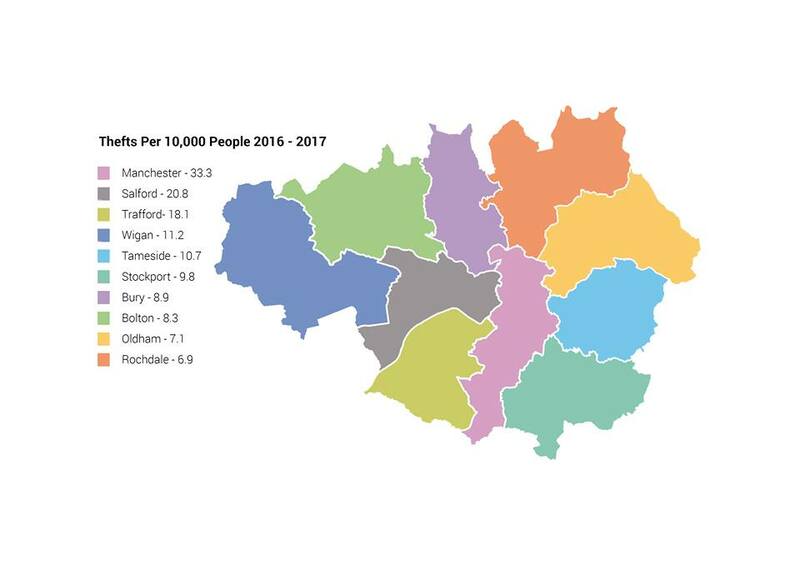 Statistics have shown that Salford is the most prolific area for bike thefts followed by Trafford, Wigan and Tameside with Rochdale at the bottom of the list. Last year Mobikes were introduced into the city to encourage exercise and help to save the environment. However, while the concept has been expanding, residents have complained about bikes being left littered in back gardens and in canals and Mobike has been forced to increase the rental fee in an attempt to encourage users to be more respectful. PCSO Jay Thorpe, 29, said: “As the popularity of cycling in Manchester is increasing, it isn’t surprising that opportunistic thieves are target areas in the city. "Aside from being distressing, bike theft is also incredibly disruptive, leaving owners without their usual mode of transport and no way of exercising."